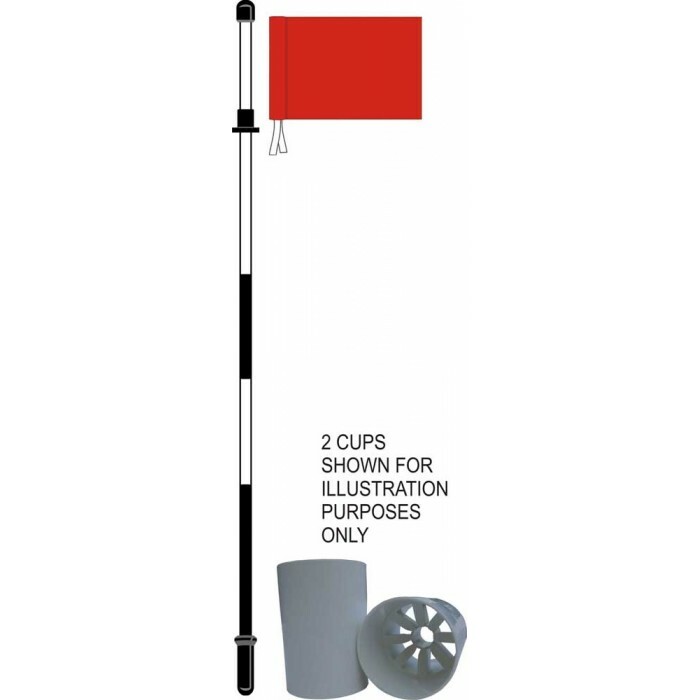 This is a quality British-made product to the same specification that you get on golf courses. 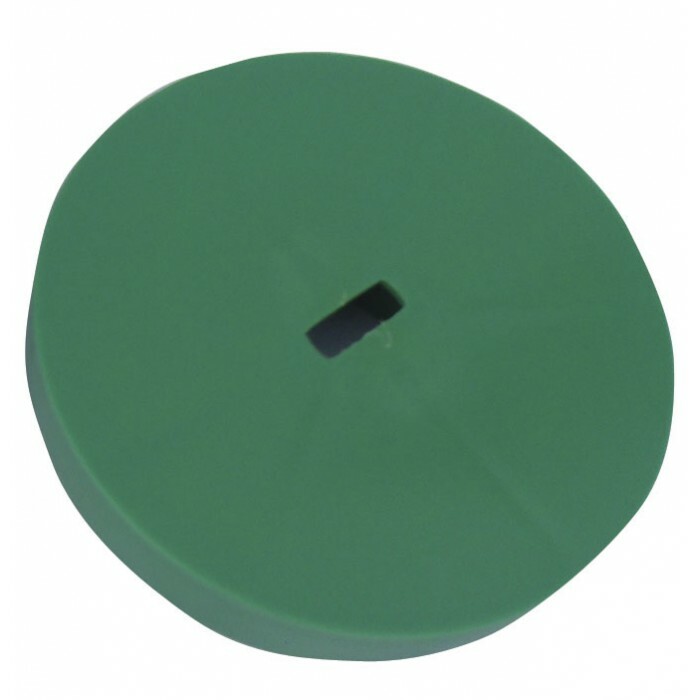 The pin is a 6ft fibreglass pin and comes in ONE PIECE. Beware of cheaper alternatives that come delivered in sections. 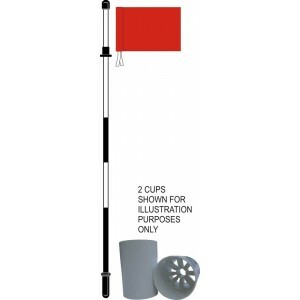 Complete with flag, regulation size plastic hole cup and standard plastic cup cover.